Recently I wrote a piece about water and the importance of being hydrated. Now although I know how important it is – after writing the article I realised myself that I had not been drinking enough water lately. I had been feeling tired, and my performance in running had definitely dropped – just generally not feeling 100%. I had been putting it down to the early starts and much busier life I have had the last while…….but once I’d reminded myself I did think maybe all my lethargy was perhaps down to lack of water after all! So the very next day I bought 2 of the 750ml sports bottle drinks and have been making sure I sip little and often throughout the day, drinking 1 bottle before lunch and the second bottle through the afternoon and then my glass of water with my vitamin C tablet in it with my dinner. I have to say after just the second day I felt my energy levels were increased, my headaches were less and definitely felt generally better in myself. Since increasing the water I have also noticed that my effort whilst running is much less – as in I don’t feel like I’m completely struggling to get the pace up. I feel like I’m back on track all of a sudden, and even doing slightly more – but not feeling quite so wiped out by it! Bearing all this in mind – I thought I would do my blog today on the same Topic with the same facts. Water is something that is so simple – but makes such a big difference! Especially when we are trying to lose weight! Headaches! Not drinking enough water can cause headaches! If you have a headache taking a glass of water before reaching for the Paracetemol can banish that headache without the need for tablets! Or try upping your water intake and eliminate those pesky headaches creeping up on you in the first place! No Energy! 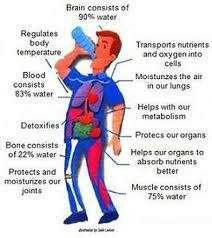 Not drinking enough water can result in a real lack of energy and tiredness. This can start to have real knock on effect on your concentration and abilities to handle everything. Having no energy can also be the start of that vicious circle in trying and failing to balance out a healthy lifestyle and exercise with everyday work tasks. No energy = no get up and go which inevitably means less productive (or no) exercise, and a slip up in the diet from feeling “too tired” to make those better choices can quickly ensue. Get rehydrated and drink plenty of water to boost your energy levels back up. Cut the caffeine! It’s easy to grab a cup of coffee, but drinking too much caffeine and not enough water can also cause dehydration. Caffeinated drinks are diuretics – which in simple terms means that they force more water out of your body by causing you to need the loo more often! This of course can cause dehydration, which results in the previously mentioned headaches and lack of energy! When the body is dehydrated it can also start to retain water in an attempt to protect the body, which can cause that bloated feeling, and not to mention a possible increase on the scales! Hungry?! Not drinking enough water on a regular basis can make it easier to not feel that sense of thirst, and instead the body can trick us into believing we are experiencing hunger pangs when in actual fact we are just thirsty! Keeping the water levels topped up can help stave off hunger and prevent us from over eating! Fruit and Veg! Upping your intake of fresh foods and fruit and veg can in turn increase your water intake without having to go all out on drinking actual water! Grabbing our easy cups of coffee and eating processed foods has become the norm – but don’t forget to keep the fruit and veg in too! Fruit and Vegetables are fantastic because they are dense in water, nutrients and anti-oxidants, which help not only in providing great nutritional value but also helping to boost our hydration levels! Flush the fat! Drinking water can help in your bid tolose weight by helping flush out the fat! Now although water is pretty magical – it won’t work its wonders alone! If you are looking to shed the pounds then you will need to be eating a reduced calorie and consistent diet. Combining this with exercise and water will mean your body takes its energy from your stores of fat which will help break down that fat and flush it out! Getting enough?! Making sure we are getting enough sounds so simple, a glass here and a glass there all adds up – but to keep count of this on a daily basis can be a little more hit and miss in reality. A handy tip for getting enough water in is to fill up a 2litre bottle ofwater and aim to drink that by the time the day is out. Try to drink consistently little and often during the day rather than in one go – and remember, the moment you feel thirsty you are ALREADY dehydrated! When you feel thirsty drinking a glass of water will take away your initial feelings of thirst but remember to add a little more water into your system as well to actually replenish the stores which have depleted! Please see this handy water chart to check how much you should be taking on board in relation to your weight! ‘Although it is important to drink plenty of fluids throughout the day as we need it in our system daily to help us function, but believe it or not we can actually drink too much water. There is a condition called “water intoxication” which a lot of marathon runners can suffer from. As you run, you sweat heavily and loose water and electrolytes and this in turn dilutes sodium in your system, which in turn causes an imbalance in the sodium levels in your body, and this condition is known as “Hyponatremia“. What this means is your cells start to feel like they are drowning because there is too much water and not enough salt. This can also cause other problems like nausea, headache, muscle weakness, irregular heartbeats, fluid on the lungs and can cause the runner to show signs of confusion, collapse or in worse case scenarios, cause coma and death. The reason this happens is, as you are running you tend to consume as much water as you can and not enough electrolytes in a short amount of time, Your body isn’t designed to take on that much water. Our kidneys can take up to 15 litres of fluid a day and approximately 1 litre of fluid an hour and during a race you can easily exceed this amount without thinking about it and before you know it, you are in trouble! 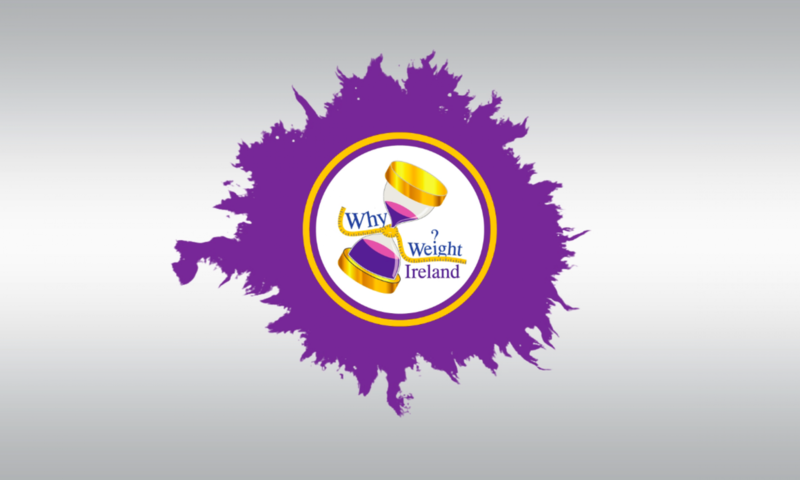 Why Weight Ireland can help guide you out of being overweight or obese and guide you to a new path of healthiness. Since launching in March we have already started to be the first choice for diet plans in Ireland and proven that weight loss is possible and achievable. Please contact info@d1459786-92704.blacknighthosting.com if you have any issues or would like to know more about what we do.